My dad's death last year not only made me and my siblings 40-something orphans, but it also marked the end of my parents' Nursing Home Era (1998-2011). Until his death, either my mom or dad was in a nursing home for almost 11 years of that 13 year span. That blew. It was also very expensive. My mom shelled out $500,000 cash over the years, and her place was neither shmancy nor fancy. My dad “only” paid $22,000 per year because he had Long-Term Care Insurance. Long-Term Care Insurance (LTCI) is insurance you buy to help pay for Nursing Home, Assisted Living, or In-Home Care should you ever need it. We did not have LTCI for my mom. We paid about $200/day for her care. After my dad saw that first bill, he did what all shocked cartoon characters do. He lifted his jaw off the floor and put his eyeballs back in their respective sockets. Then he purchased an LTCI policy for himself. My dad had just turned 65 and this was 10 years before he would need to use it. My dad paid $131/month or $1,572/year for LTCI. Therefore, over 10 years he paid out almost $16,000 for his LTCI. His policy covered $150/day for three years' worth of days. The nursing home was $210/day. That extra $60/day came to $22,000/year and was paid out of my dad's pocket. The other $55,000 per year was paid by the LTCI company. My dad's LTCI saved him $130,000 over the 2+ years he was being cared for. Subtract the $16K my dad paid in premiums over the 10 years before he moved into a home, and my dad still came out ahead $114,000. The $114,000 return on his “investment” in LTCI was sevenfold. Pretty sweet, right? Sounds like I'm doing a pitch to get LTCI. I looked into getting a policy for myself five years ago. I saw how nursing homes devoured my parents' life savings and thought it might be wise to get an LTCI policy while I was young. The best deal I found was comparable coverage and pricing to my dad's policy. But my dad got his in 1998 when he was 65, and I was only 42 in 2007. My beef with buying an LTCI policy, is that I did not find any company willing to guarantee that the monthly premium would remain unchanged. In other words, it could go up. Not guaranteeing my premium price seemed fairly significant. I don't recall any time in my life when I agreed to buy something where I could get charged more later at the seller's whim. Even my Magic 8 Ball said that my premium would go up. I would be foolish to think it wouldn't. Since I would then have to choose to pay the increase or drop the coverage and wave bye-bye to the tens of thousands I sunk into the LTCI policy, I do not have an LTCI policy. They noticed he had started using his LTCI and were going to raise his premium or drop his daily benefit! I'm not saying this was some devious scheme. Everyone I dealt with at Genworth was very helpful. 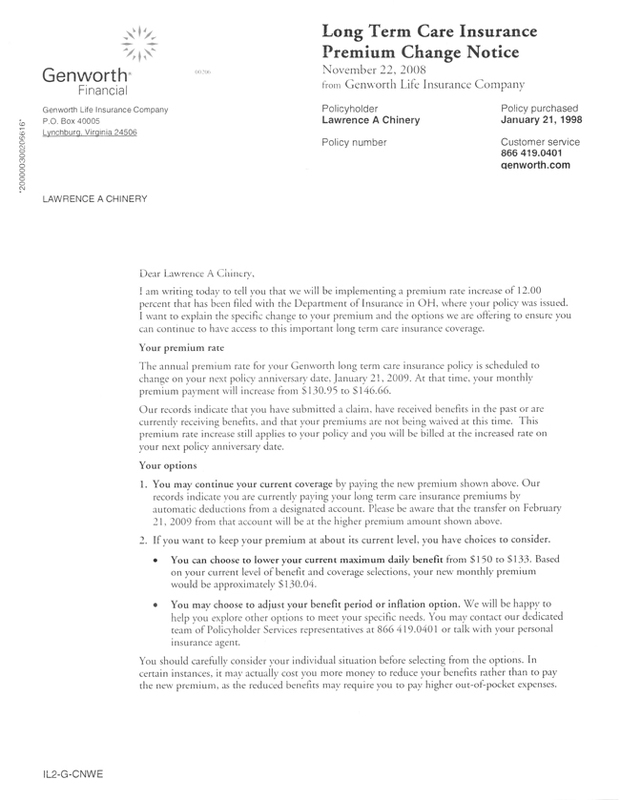 If they were going to do this in 2008, I assumed my LTCI premiums would get jacked up before I need it 25-50 years later. After all, health care costs are not getting less expensive. In my opinion, I don't think nursing homes as we know them will be there in 30 or 40 years. As it is now, if you don't have LTCI or enough money to pay for your care, Medicaid pays for you. So, what should we do? Should we spend every penny we make while healthy, then ask our fellow citizen taxpayers to pay for our care via Medicaid when we are penniless? That seems to be the approach many Americans take. To be fair, this hasn't even occurred to most people. Or do we get an LTCI policy and hope to afford it and the probable price hikes on the monthly premiums? Rock, meet hard place. My hunch is that In-Home Care will proliferate. Back in 1988 in Huntsville, Alabama, in one of my first weeks as a full-time professional stand-up comic, I worked with Brett Leake. 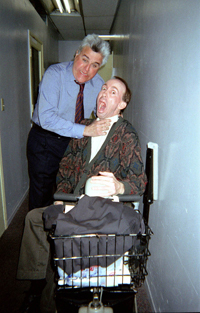 Here he is backstage with Jay Leno. The Leaker is a great comic and friend. Twenty years after meeting, we often found ourselves talking about the challenges we were going through with our fathers. He and his family received the2008 Virginia Governor's Caregiver Recognition Award for their in-home care for his father. We use this opportunity to tell you about an extraordinary man, to say thanks, and to make the case for in-home care. If there is someone in your family who needs help and whose needs can be met outside an institution, please try to make it work at home. Nursing homes serve a valuable purpose. Many of the caregivers are angels. But no matter how nice the institutions are, they aren't home. I'd like to hear your thoughts. Have you found an LTCI company that will guarantee that they will not raise your premiums? Have you hired caregivers? Postscript: Here is Page One of the letter from Genworth. They told us they were going to raise my dad's policy premium 12%. We could keep virtually the same monthly premium payment we'd been paying for 10 years, but reduce the daily benefit, if my dad ever needed to use his LTCI. The reduction of daily benefit coverage would be $17/day or $6,205/year. That's kinda significant! Chip Chinery writes about personal finance at Chip's Money Tips. Chinery won the website award for the 2011 GRS Video Contest. 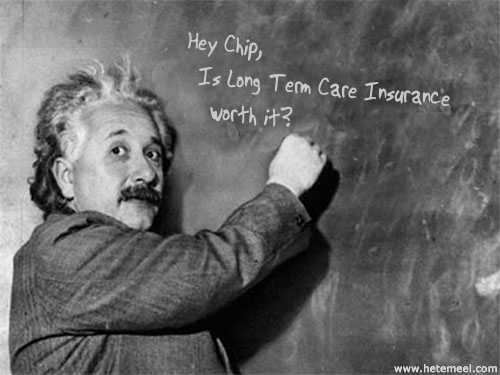 There are 86 reader responses to "Is Long-Term Care Insurance Worth It?". One important thing is nursing home quality. If all you have is Medicaid, then the quality of the nursing home that will take you is much lower than the one that exhausts your savings (or uses your LTCI) and then switches to Medicaid. Why more people don’t use LTCI is one of the big mysteries in health economics. Amy Finkelstein at MIT has a number of papers on the topic. She has a good paper with Jeff Brown in the Journal of Economic Perspectives that basically sums up the arguments. Insurance is a product that everyone loves to hate. What would you do with your $2000 a year if you could enjoy it? Thanks for the MIT article source. It is fascinating that a consumer needs to go to MIT to understand how to buy this product. (I did go to MIT and it is still hard for me to understand). The thread talks about many issues regarding premium increases, and the uncertainties of needing insurance and finally not being able to use it fully when the time comes. I have friends who lived a long life and had insurance, and at least they were in a great nursing home (although who wants to be even in the best of them?). I have one friend who is in a not nice facility funded by his Medicaid. The cards are totally stacked in the insurance companies’ favor. * They have sharp actuaries who can calculate the various risks with precision. * They can put weasel clauses in contracts that few understand, and lets them slough off people who become bad risks. * Consumers can’t often estimate risk/returns and are facing a financial wipeout in case of drawing the ‘losing ticket’. * You’re unhappy if you need it and don’t have it, and unhappy if you paid in and did not benefit. What a lousy product to have to buy! Perhaps the industry needs to be forced to have transferable policies. Competition would help to keep companies honest if at some point you want to shop for a new policy that takes into account what you’ve already paid. “Honest” and “insurance company” are mutually exclusive! Since beginning this investigation, I found a whole life policy with level payments over 10 years (or a single premium at the beginning). Over time, a greater and greater amount of that money is yours, and it can be used for LTC payments. There is a rider premium that extends the lifetime benefits, 5% inflation adjustment on payouts, etc. Still a very complex product. This one is by State Life Insurance Company. The rider is the key. Otherwise, the whole life policy can be easily exhausted in 50 months. You really need a financial advisor you can trust in order to scope this out. I would like to hear from people who have gone in the whole life with LTC direction. Hi peter, Have you found ” the answer”? Thank you for this article, and I look forward to hearing others’ experiences. I’m currently on the fence regarding LTC insurance for my mid-50s husband, as we don’t have much savings. I understand Medicaid requires the near-bankruptcy of the spouse before it will provide care; since I am 16 years younger and much healthier than my husband, this would be a problem. There are many errors in your concepts. You buy products everyday without knowing what they will cost next year (cable TV comes to mind, as does health insurance, car insurance and homeowners insurance). You can buy long term care insurance where the price is guaranteed. But that’s probably not the best way to go. Also, yes, this is a financial product and that’s how many think of it. The largest open claim paid $2500 for their coverage and the insurer has so far paid out $1.7 million. By the way, I wouldn’t consider this person or their family a ‘winner’. You buy LTC insurance so you and your family have options when care is needed. So you can get care at home instead of being forced into an institution. Suggest anyone really interested do a bit more homework into the subject. And, we’d be happy to help answer your (or their) questions. This is good news! GRS readers like to cut to the facts. Please tell us which insurance companies will sell long term care policies that they GUARANTEE in writing will not increase the premium or the lower the coverage – EVER. I am talking about policies that actually cover the majority of the nursing home costs, so let’s start at $200/day for three years. That is cheap even by today’s standards. My mom and dad’s nursing homes cost more than that. I was quite thorough with my research. None of the companies I spoke with would make those guarantees. None of them. Hopefully, you can enlighten us all. I used to sell long term care insurance with my previous company. I am not defending them, but hoping a view from the other side will help you understand. What if I said I want to buy a card that lets me purchase gas at a certain price (say $3.00) and will NEVER go up no matter what happens. No gas company will take that risk. How long will you be using gas? How harder will it be to produce/find gas in 35 years? What service do you provide? Would you accept doing that for the next 30 years at the same rate? Another reason is that many of the people taking LTCI policies are keeping them, so there are very few lapses. This means the company has much more risk than originally considered (in life insurance the average person purchases life insurance 7 times in their life, with LTCI, it’s been one). The costs of health care are climbing and so are the cost of LTC services. LTCI also has riders that can add to the expense greatly. There are other reasons, but many of the companies are either no longer offering LTCI or either pulling back on their benefits. I do agree that we as a nation should work hard on being more healthy. From my experience as an insurance agent, we will gladly pay $100 for cable, a $500 car payment, or $75/month cell phone; but we will not invest the time/money to make ourselves more healthy or buy insurance to protect us. We would rather use that money for some instant gratification today and dish that responsibility on to others. Companies really cannot guarantee rates because a giant exposure they face is the ability to invest the premium in a safe security but they barely return more than 1%-so that is a huge problem. If you look at the premium vs. benefit you can buy now…you are basically paying 1% to 2% per year of the benefit pool you are purchasing. Its a great deal even if rates go up. Rates going up are not an indication of weakness or greed by the insurance company…although previously in some circumstances it was a sign of shoddy underwriting. The companies who have remained are strong and experienced and by and large have a reputation for doing the right thing. The rate increases are to make sure there are adequate funds in reserve to pay claims. Unfortunately the financial world as we know it dictates these changes in premium until a more reasonable return can be sought after. Chip, Why must lTC rates be fixed? Rtes are not fixed in stone for various forms of insurance. Health insurance, auto insurance, homeowners insurance, renters insurance, etc. Any of those could go up in any given year due to no fault of the insured. The only form of insurance I can think of that generally has locked in rates is life insurance so its an exception, not the norm. Jim, I think you will agree that almost everyone who buys Long Term Care Insurance, is doing it for the end of their lives. Yes, it is available for use earlier, but people buy it to use when they are elderly, for nursing homes or in-home care. So, LTCI is not like auto insurance or health insurance, which I use the same year I buy it. It’s not like homeowner’s insurance which is required if I choose to have a mortgage. Genworth wanted to raise my father’s premium 12% or drop his coverage $6,205/year. I’m sure they had the right to do that in the fine print. I doubt most people realize that can happen. Chip, Your main beef then seems to be that they raised the premium and you weren’t told that could happen. I see the frustration and I’d probably be annoyed too if I was in your situation. But .. Does your auto or home policy have a large print disclaimer on the front page of the poicy stating that your premium might go up in the future? Has an agent ever made apoint of telling you they might charge you more next year? No. But you know thats how it works and we all know that so its not perceived as a problem when they don’t tell you. The fact that LTC is usually not used till later in life really doesn’t change how we pay premiums or dictate that premiums ought to be fixed. Chip, if you make a claim on your home or car insurance, I’ll guarantee the premium will then go up the next year. Despite the marketing, insurance companies are not there for your interests, they’re there to make money and don’t actually want customers who claim. There are 3 types of long-term care insurance policies that are guaranteed to never have a premium increase. The cable tv example seems to me particularly off point. The health and car insurance ones as well. If you pay for cable now — you get cable now. With LTCI you could easily pay in for 10 or 15 years and have the premium rise to a point you can no longer afford and lose all of that money spent. You didn’t get 10 or 15 years of coverage, you got no coverage. I guess car insurance is the best example of something you might not use for years, but there you’re legally required to have it. It seems that some sort of long term care annuity might be a better way to go? Obviously, that requires a lump sum upfront, but it seems like it leaves more options at the usage end. I think when considering whether or not to purchase is not to think about it just in a $ and cents way, although that is a huge part of it. Particularly if you have a spouse I think its borderline irresponsible to each other if you dont have some sort of coverage. With the cost today well over $100K, almost nobody can afford a very long long term care event. Lets say you can afford it for a few years…what are the long term implications on the retirement plans of the healthy spouse(often the wife who needs to worry about living for sometimes a decade or two longer) the money spent on long term care today would have a hugely negative effect on the long term retirement income and lifestyle of the surviving/healthy spouse. The biggest issue with this coverage is a true lack of financial literacy in the country. At this point the insurance is the best option. We arent Sweden or the Netherlands so we dont have a true public policy for long term care other than Medicaid which more or less requires you to be broke. The readers here I would think would be fairly adverse to being broke. If you pay for LTC for 10-15 years then you get 10-15 years of coverage. So its not true to say you ‘got no coverage’. If you’d have fallen ill and ended in a nursing home during those 10-15 years then LTC would pay you. Thats not lost money. Its like me saying that the past 14 years of homeowners insurance that I’ve paid was ‘no coverage’ since my house didn’t burn down and the premiums gradually went up. I bought LTC insurance four years ago. I bought my LTC insurance through my credit union. They have a history of not raising premiums and there are other benefits too. Wow! I love Chip’s open and honest story about dealing with his parents being in a retirement home. I never realized it could be so costly! Thanks for sharing your story and opening my eyes a little bit more. I tried to buy through penfed, but they denied me because of “memory” problems which went away after I was treated. Are LTC companies counting on some of their subscriber dying quickly, or needing only STC? or are they expecting to have fabulous returns? If you’re going to be putting $500/month into LTC at age 47, shouldn’t you just put that into a financial vehicle you can draw on? Or is that just too easy? I guess that may work for disciplined people? Gina, at age 55, decent coverage (an immediate value of $164,000) will cost you between $100 and $150 a month (depending on your health). The fact is that folks aren’t dying. That’s why this is so important. Memory problems (a precursor to Alzheimer’s will be an auto decline) but the health conditions vary from one insurer to another so it really is important to compare and work with a knowledgeable person. Suggest you and others may like to read 3 guides at http://www.aaltci.org/long-term-care-insurance-costs/ There is no sign-in to access them. My memory problems were a thyroid condition. Once on the right pills, I don’t have memory problems. But that’s enough to autodeny? About a month ago, my grandfather got into a car wreck and was sent to the hospital. After staying in the hospital for a week, they sent him to what was basically a nursing home for rehabilitation. Quality of care is important. To give some examples, if my grandfather pushed the button to call a nurse, it would often take a long time for them to arrive. I remember waiting 15-20 minutes once before someone showed up. Another time I was visiting, as I was pushing my grandfather in a wheelchair, we came across another man in a wheelchair looking lost. Upon asking him if he was alright, he looked at me and said he was lost. Not only that, he seemed as if he could barely push the wheelchair by himself. In the end, I pushed him to his room. The sad part about it was that there were nurses about 10-20 feet away. My grandfather finally was allowed to go back home, but due to various circumstances (his wife’s alzheimer’s/dementia is getting worse and he can’t get around well anymore) my father and uncles are trying to decide what to do about taking care of him. Although my one uncle agreed to take care of him (i.e. let my grandfather stay with him) if the situation arose, now that the situation is here, he wants to put my grandfather in a home and let medicaid take care of it. I guess what I’m trying to say with this long, rambling post is that while LTC insurance is expensive, it may be the difference between your parent/grandparent having a good experience at a better nursing home, or having a worse experience at whatever place medicaid will pay for. That being said, I think Chip was wise in not getting it yet. Long Term Care insurance for anyone who has anything to protect is common sense. The risk of needing care is very high. According to the federal government, if you reach the age of 65 you have a 70% chance of needing care at some point down the road. 42% of all Americans who need care TODAY are UNDER the age of 65. Why are the odds so big? Simple. As medical science gets better we live longer and survive health events and accidents like never before. Long Term Care Insurance is a very affordable way to plan. It is NOT easy for a rate increase (the company CAN’T CANCEL YOUR POLICY and they CAN’T INCREASE YOUR PREMIUM unless they do to the Department of Insurance, prove an real need and then apply it across the board to an entire class of people). Thing do go up most most companies have had one or tow increase since selling this stuff back in the early 70’s. No matter what, the premium you pay over yor lifetime is a fraction of what care will cost… and it is not much of an IF it is WHEN and HOW LONG. Do good research and work with a specialist. Two outstanding websites. http://www.completelongtermcare.com and http://www.aaltci.com. This is mathematically wrong. Insurance is a for-profit business, so statistically speaking they are going to pay less money than what you give to them. Insurance can sometimes help with getting better rates from the institution providing care (because they are bargaining collectively), but at the end of the day the usefulness of insurance is in protecting against unplanned events that would be catastrophic if you aren’t insured. This is what is called an underwriting profit. Many insurance companies actual lose money underwriting. They are able to make up for it by collecting and investing years of premiums before having to pay out any claims, so you’re statement is incorrect. However, that doesn’t mean I agree with the statement you are refuting. There are many cases of people dying without requiring long term care in which case their policy would not pay out. I work in the insurance industry, so I feel compelled to say that what they collect in premiums can be less than what is paid in losses and expenses. You take the money before you pay the losses and invest it (typically in government bonds or something safe)…the investment income covers the profit component and the combined loss and expense ratio for some lines of business is indeed over 100% for some companies. Even if that were not true, you are forgetting that insurance is pooling risks, so that for one individual they may certainly pay out more in losses than they take in for premiums, but on a whole for all risks of everyone that pays premium they can make a profit. It’s diversifying and a win/win for both the company and the insured who has peace of mind. My parents had LTHI. My father worked through his after four years in assisted/ nursing care. My mother’s has come in handy for several surgeries. It paid for her rehab. Her premiums continue to go up- yearly. The helpful part is mom is used to the beat and her insurance covers what she expects. It does not pay for independent living situations. We do not have it yet. Haven’t wanted to part with the premiums yet. Hubby just turned 62 and I am 55. Janette – glad to know your parents benefitted from their LTC insurance. Over 200,000 Americans get paid every year thanks to their policies. One suggestion for you and your husband (because few people know this fact). Between 52 and 64 is actually the best age to start the process. After that we all start having some health issues and those can preclude you from medically qualifying for private LTC insurance. Too many people wait and call us after they have a medical issue and can’t health qualify. Just a point worth sharing. I have long-term care insurance. I was really fortunate because my employer (a state U with over 10,000 employees) partnered with a company and if you signed up when it was initially offered they waived exams/medical history for everyone. Given some really horrible things that run in my family, I would probably not qualify if it weren’t for this deal, but since I was so young (31) when I signed up for it, the premiums are pretty reasonable. of his care. The coverage helped my mother in law keep her husband at home as long as possible in the last year of care. It covered practical things like housekeeping, respite care, and a weekly nurse visit. He wasn’t put into a nursing home until the last month before his death when he was physically incapacitated. They got this insurance when he was in his 80’s and still mentally able. PLanning ahead made all the difference. Thanks for the links to home health care. You have stated most of the reasons to buy LTCI but I think the most important which you had mentioned is that you get to maintain your lifestyle as best as you can when purchasing it. No one especially parents want to rely on a nurse or child to help them in life. They dont want to cause burden with time or with money and LTCI can help the accomplish that. Does it pay off? I say 7/10 benefit monetarily and the other 3/10 benefit from having a peace of mind. LTCI is changing. Many companies closed that part of their business because it wasn’t profitable enough. Either they paid out a lot of benefits suggesting its good to have, or they couldnt sell enough of it. Additionally you only looked at traditional LTCI which is “use it or lose it” Many companies now offer “asset-based” policies which are a form of LTCI in a life insurance wrapper. The policy I sell is called MoneyGuard. You can look into it but as you know not every product is right for every person. If my clients can afford asset based insurance they almost always move forward with it. I don’t see a lot of downsides with the structure of asset based LTCI when it fits within a persons abilities. This article, while worthwhile, only begins to touch the financial implications of nursing home/ at home care for the elderly. Medicaid law alone for the elderly is so complicated that a whole series of posts would be necessary to cover it in a comprehensive manner. If you think that there is even a remote chance that someone in your family will need such care, PLEASE learn about the financial side of it. It’s an appalling and frightening education—but necessary. I am helping my parents, 89 and 92, age in place for the last year in a very active role. Mom has moderate to severe Alzheimer’s and Dad had a mild stroke last Christmas. I have watched her “change”, deteriorate a great deal the last 12 months. We do have caregivers [private paid] come in, up to 16 hours per week to give me respite and them respite from my cooking. Or to take one of them to Dr. or whatever. They have Long Term Care Insurance – but reading it gives me a headache. And at one time I was in the Property/Casualty Insurance Business on the Commercial Claims side. So I have read all lot of legalese and Insurance verbiage. Once I finish up some other projects, will delve into it further. But have found: there are “qualifying events” for it to kick in, it is bare bones – does not help with any aging in place costs, there is a waiting period [or “deductible”] before it starts paying and is time limited in years and there is a dollar limit per day. It appears to be funded by an Annuity’s Proceeds that had been purchased from the same company that is providing the LTCI premium payments. Looking at the file and correspondence in it, do not see that there have been any increases in Premium since it was taken out in 1995. I can see a day that it will be worth it. It will not cover all the expenses of a mix of a Nursing Home’s Memory Care Unit and Assisted Living, but will take the edge off. Hope this helps in some way – when I have spare time, have read up on the different LTCI Policies and have come away with the belief that one needs to look not only at the Premium and Coverage, but the fine print concerning what will be paid within the Policy as well. My husband and I are childfree, so we intend to get LTHI. We don’t have kids to lean on if one of us needs the care (a high number of people ask me “but who will take care of you when you’re old?” as if they’re using their kids as their insurance policy). Frankly, I hope my parents get it. You can also purchase it for your parents. Sometimes this will be a reasonably good deal if your employer offers it. Yea, please do something about this. I appreciate that the posters have made it apparent that they are insurance salesmen, but this website has rules against this sort of thing I’m sure. As with all insurances, it wouldn’t be offered if it wasn’t profitable and given the costs of LTC when its needed, it wouldn’t be profitable if most people weren’t on the losing end of that equation. Just like any insurance you aren’t required to get, it has its place and can be beneficial if used smartly; but, from a financial perspective, its a gamble to see if you’ll pay more in premiums or if you receive more in benefits. I would rather put that money in a savings vehicle than tie it up in an insurance plan. I disagree. I don’t think the moderators should censor or remove comments from an industry representative providing an opposing view or input to the topic. Its not spam for someone knowledgeable on a topic to come here and discuss the topic. And if they are affiliated with LTC industry then they are right to clearly say so. Its OK for them to respond and voice their views and its right for them to identify themselves as part of LTC organization. We just lost my 95 year old grandmother 2 months ago. For her last four months, she had in-home hospice (and personal nursing) care. She wanted to be at home. We learned that until the sick person is destitute, all nursing care is paid on your own. When the total assets (excluding the home, apparently) reach $3,000, Medicaid/medicare? takes over payments. Our understanding was that when the assets became that low, we could continue her current in-home 24 hour CNA care and Medicaid/Medicare would cover it. We did not reach that point – she died before she reached the $3K limit, hospice covering all medical equipment and medications, but not the nursing care. Given my current understanding, then, if you’re not a person of means, long term care insurance wouldn’t make sense on an individual basis. Note that, according to our research, there was a 5-year lookback period. If the sick person had gifted monies within the lookback period, the amount gifted would lengthen the period of time to become eligible for this coverage by a time equivalent to even out the dollars was gifted (so you would have had to gift any monies at least five years in advance). My parents are in their 60s this year. My dad who has high blood pressure and cholesterol suffered a stroke earlier this year. As he is not insured, the family had forked out a whopping 100K to take care of this hospitalisation bills and to hire a caretaker at home. The question of why he did not get himself insured is not due to the uncertain premium as what Chip has written in his article. But because he did not believe in the credibility of insurance companies. The only real issue I take with the article is the false dichotomy presented at the end (pay for insurance or spend it all to rely on Medicaid later). Why not start saving money and self insure? If you’ve got a 25 year outlook then that’s good for you. Imagine instead of spending $150/mo for insurance (that’s likely to keep going up before you’ll ever need it), put $150/mo aside and invest it for 25 years. You’ll end up with more money than that plan would pay out, and your ‘premium’ will never have once gone up in that period. I do not endorse the either-or. I was pointing out that it would seem a lot of folks are choosing that. Like you, I think the idea of saving money and self-insuring is the way to go. I agree that self insuring is an option. But saving $150/month will not equate to the payout for a $150/mo LTC policy. Whats a couple years in a nursing home cost? $150k? Saving $150/mo for 25 years will only cover maybe 50% of that. csdx…not true I hope you dont take this the wrong way but lets say you invest $140 per month for 25 years and you are a 45 year old. you would end up with a whopping $63,000 if you get a steady 3% return. the $140 per month would buy a 45 year old $4500 per month benefit with 5% compound inflation protection for a 36 month benefit period. Right away on day 1 you have $162,000 in benefits …in 25 years that would have grown via the inflation protection to a monthly benefit of $14,513 with a total benefit pool of $523,000. Your 25 years of investing the premium would pay about 4 months and then you would be “out of pocket” as compared to the policy. We keep coming back to the same problem: The LTCI premium is not guaranteed to stay put. Weeks after my father started drawing on his, as you can see in the letter from Genworth, they wanted to raise his premium 12%. Was the premium increase on your father’s policy directly linked to his making a claim on his policy? Although the timing seemed odd, I do not know what led to the increase. It could very well have been a coincidence, that is why I did not claim otherwise. Had either of my parents had long term care (LTC), it would have been a waste of money as they both at different points went into the hospital and after a “short” stay where the long term care would not have kicked in they passed. However I have a few friends with the opposite situation and their parents who had long term care, really needed it and it has or is currently making things much better for them and their families. It helped them stay at home longer, and eased the transition into full time care facilities. With respect to Medicaid, be aware that they now look back 3 years minimum, 5 years in a number of states (maybe all of them now), and some are considering 7 years. What this “look back” means is that if at 70 granddad gave you $30K to help with your college, and there is a definite paper trail (e.g. bank transfer to your 529 account), and at 71 years old he goes into a nursing home, and at 72.75 years old all his assets are gone and he qualifies for and requests medicaid, they will look back 3 years (or 5 or 7 or whatever the time for your state) and demand you pay back the $30K because it is in the window. If you can’t or refuse, the state will withhold medicaid payments until it “equates” to $30K. So the nursing home is screwed out of $30K of funding they would have received. Now the nursing home has a choice. Sue you or the family for the $30K, eat the loss and wait until granddad can start collecting (likely lowering his current level of care by moving to the “low cost” wing), or move granddad out completely to another facility (difficult move in many cases). Obviously the more money Granddad passed to family that can be traced or even reasonably shown to have been given the higher the chance of the nursing home suing to recover costs. Given that states are moving to extend the lookback to decrease the burden on Medicaid, LTC may be one mean to protect your kids and spouse from that lookback. I googled “long term care insurance rate increases” remembering that there were in the last year or so a bunch of articles about people getting shocking rate increases. Yup. I think the harder part though is that unless you pay much higher premiums for care that can be used in different settings (such as in-home care) you’re also playing the lottery vis-a-vis what type of care you’ll need. Personally, I’m gunning for many healthy years and then a very quick decline. A friend’s mother decided not to treat her cancer — she had about 5-6 months, only about one of which was spent in a nursing home (which she despised, even though it was considered a nice one). At the time, it seemed shocking, but in retrospect, she got to see all her grandchildren, participate in a few birthdays and holidays and not face a long, slow, painful, and expensive decline. I hope I can be that determined! In 1980 (which was our year from hell, for a variety of reasons), my then 33-year-old husband developed juvenile diabetes. This is the kind that has nothing to do with being overweight (he actually weighed only 116 pounds at his sickest), but is caused by the pancreas calling it quits. Fast-forward to 2010: childrearing past, retirement looming, we started to get our paperwork in order and as part of this looked at our insurance. It has always been next to impossible to get life insurance for him, but LCTI companies turned us down repeatedly. It doesn’t seem to matter that he is very, very healthy, except for being chronically ill.
We decided to self-insure as our only option, and have set aside an annuity to cover any nursing home/in-home care costs. Apparently, if the bills are paid by the annuity, there are fewer tax implications for the family. Plan B is wheelchairs for two over the cliff. Thanks for writing about this topic, Chip. It really is a scary subject, as is life insurance. It’s easy for me to think that I, or another one of my siblings, would just care for my parents in the event that they turn ill enough to require in-home care. However, such a “care plan” will not come with out ramifications. Sorry, PB. My comment was recorded in the wrong location. What about Continuing Care Retirement Communities. Any thoughts? I was looking at them the other day. Of course there are different types and it involves you moving typically in as independent living, then you go to assisted living and finally skilled nursing. I know there is a pricey entrance fee and then a monthly fee, but essentially you won’t have housing and some other costs anymore. -Based on Type-A Contracts, provide residents with unlimited, lifetime access to independent living, assisted living and skilled nursing care with little or no increase in the monthly fee as the result of a need for a higher level of care. -After becoming a resident, if your financial resources ever become exhausted due to an unexpected and unavoidable hardship, our Samaritan Fund provides a financial safety net for you. You are guaranteed residency. -There was other info but these seem most important othere than quality of facility. In reference to CCRC’s, my folks sold their house and used most of that investment to guarantee their continuing care option. This gave them the option to travel while they were still able, without worrying about their home. Retirement pensions and earned Social Security was enough to provide for the levels of care they have needed and when my dad passed, he was moved into Assisted Living for a short time and then into the hospital wing after a serious fall. Ther, he developed congestive heart failure and passed fairly soon after that. Mom moved to a one bedroom apartment several months later, then just this year, we moved her into Assisted Living when Alzheimer’s type Dementia made it unsafe and unwise for her to manage in independent living. This has enabled my husband and myself to help with her care and be actively involved without bearing the entire burden by ourselves. When they made the decision back in 20002, they did not forsee the full extent of their health needs, but for us, it has been a blessing so far. I just wanted to offer my condolences on the loss of your father and ongoing losing of your mother. Thank you for sharing their experiences with aging. I can only hope everybody does everything they possibly can and make all of the sacrifices possible to keep their parents at home. I recommend all people considering putting someone into a nursing home to first spend several days/weeks volunteering in one to see what really goes on. I’ve looked into this type of coverage for my mother in the past (she turns 60 this year) in order to pay for in home care if my mom should need it in the future. I’ve been turned off by the qualifying events that need to take place in order for coverage to kick in. I’m an attorney and so I’m weary of what type of excuses an insurance company may come up with for not paying benefits. At the same time, I feel that if I found the right policy and I had confidence that benefits would be paid without a hassle, I’d definitely purchase it on my mom’s behalf and it’d give me great piece of mind. Definitely interested in continuing to learn about other people’s experience in this area, especially as it relates to paying for in home care (as opposed to nursing home care). I can’t seem to get “Reply” to work – tech problem with my equipment, I think – so I’ll write separately. Re Amanda’s comment, about people asking childless couples “But who will take care of you when you’re old?” as if the kids were an insurance policy … Been there. That’s a crazy assumption. Both my husband and I came from families with at least 1 parent we would never, under any circumstances, look after. Maybe that’s not “nice” but not everyone comes from a decent family. My husband’s parents are both long gone now, but one of the major reasons we left our home country was to put as much mileage as possible between me and my lunatic mother. We do not have children – and if we did I know better than to assume they would take care of me. Even if I was nice, maybe my kid wouldn’t be. You just can’t guarantee anything. I love this comment. If my dad needed care he could move in with us (though he’d have to move from FL to AZ to do it, which would not make him happy) – but we do not speak to my husband Jake’s parents and would not care for them or contribute money if they were in a LTC situation. My husband and I would let my mother move in with us in a heartbeat. My mother-in-law lived with us for three months two summers ago and it was the most stressful experience of my entire life. If it had been much longer, my very happy marriage wouldn’t have survived. There were 3-4 times I broke down at work, crying. I might have cried a total of 5 times in the last DECADE. It is the ripoff aspect that stops me. Insurance companies will try just about everything to avoid paying claims. Try searching the topic. If all insurance companies did was collect premiums and deny claims do you think they would be in business very long? I was just rear ended and the insurance company I had to deal with made it very clear that they will pay for covered/qualifying events and thats all. This is the same with any insurance including LTCI. There are usually qualifying events required before an insured starts receiving benefits so its good that you read the contract before buying it. Generally speaking there needs to be 2 out of 6 inabilities for activities of daily living (ADLs). You haven’t filed many insurance claims, have you? I really liked this post–I’m still young (under 30) and I’ve never had to consider anything like LTCI yet (parents are still healthy). But it’s great to be given a “heads up” about these kinds of matters so when I do come across it, I’m not completely confused! Just having heard of some financial concepts before coming across them in real life takes a lot of the intimidation out of it. declined it. We used Meals on Wheels to supplement frozen meals and us cooking for him. I went over every morning to cook him breakfast, weigh him, make sure he took his medicine correctly, run a load of wash when needed, do some household chores,and my brother went over every evening to see about dinner. Luckily we both lived nearby, and my job was part time. We were able to keep him in his home until the last week when he had to go to the hospital. Our mother will move in with me when the time comes because she does not have LTHI. I also worked for two years for an elderly neighbor who paid me $50/ 2 hours a day to come over to do chores, take her shopping, or prepare meals with her recipes that she could just reheat. She paid another neighbor to come over every morning and evening to oversee she took her medicine correctly. She died in her home of Congestive Heart Failure until the last week when she went to the hospital. My maternal grandmother died in May after nearly fifteen years of progressive decline (physical and mental). Her physical and mental problems were 90% lifestyle related (poor diet, no exercise, no social life). She had LTCI and it did make a big difference to the ability of the family to provide her with good care. However, the quality of life she had was not something I want. My paternal grandmother died several years ago after being moved into assisted living (she had Alzheimer’s). She refused food after realizing that her decline would soon remove her ability to make choices. Her health-care directive was specific on no heroic measures, no tube feeding or liquids, etc. I believe if she had come to this realization slightly earlier (i.e. when she was still allowed to drive), she would have chosen the running-car-in-garage option. Family history is hard for me to judge. None of my predecessors except my parents (both still living) have consciously tried to maintain good health, so I don’t have much of a model for what is possible. What I’ve observed in my aunts, uncles, and grandparents is 70 years of general prosperity followed by rapid failure of strength, *absent* any true disease except in Nana’s case, resulting in progressive disability and misery. I don’t have kids and intend to spend as much of my retirement fund as I can while I am old and healthy. I have no intention of buying long-term care insurance as I do not want long-term care. The car-in-garage option works for me. Thank you for tackling this practical topic. My sister and I have been wrestling with this exact issue as our 61 year old mother has been unemployeed for 3 years and drained her retirement during that time. While she is healthy now, both of her parents died from cancer and she has not taken care of herself very well during the last couple years. I’ll be passing this on to our family. good article – made me think about a topic I wouldn’t have thought of otherwise. Thank you for this post and the insightful comments. I just started doing some LTCI research in the last couple of weeks for my husband who will turn 60 in October. Important topic. 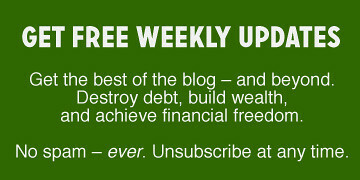 Thanks for writing about something beyond the usual how I got out of debt story. Long term care insurance is difficult because you are tied into the same company for many years. When we bought our policy the co we chose was highly rated but now, not so much. You should do a fair amount of research on the company. Changing companies can raise your premiums a lot. Also look to see if they have a record of denying legitimate claims. Won’t do you any good if they won’t pay. Ask if they pay for alternative options like home care or assisted living. I think this article was good because (1) the writing style was very good, (3) the topic was an important one that you don’t hear enough discussion about, and (3) it sparked a lot of good comments which were also very helpful. However, to say how much his mother’s bills were without the coverage, and then turn around and say that maybe you don’t really need it because he has some hunch that nursing homes won’t be around later and you can just use Medicaid for the payment seems almost negligent. You might want to research how much in assets you can have and still qualify for Medicaid, before making a blanket statement like that. Hi Allyson, Sorry not to reply on this until now. I was camping for a long weekend. Boy did I missed the WWW. I agree that not having some sort of plan is negligent. I don’t suggest that people not worry about it and use Medicaid. I did not toss my blanket willie-nillie. My research was quite thorough. Medicaid requirements vary from state to state. In my parents’ home state of Ohio, our eldercare attorney, informed us that “It is $1,500 for an individual and $2,200 for a couple. Most states however are 2,000 and $2,500, respectively.” That is how big your asset pile can be. The one thing that I fail to see is that once coverage begins the monthly premiums stop. Seems this might have been the case with Genworth in the original article. My wife and I purchased LTC insurance early this year. I was 64 and she 62. Dave Ramsey says to buy it when you turn 60! The other thing not really covered is “who should have LTC?” To me there are two groups that should not buy it: 1) those who cannot afford the coverage and have little to protect (Medicaid is for them) and 2) those with so much savings that they can easily pay for the care IF needed! Unfortunately there is a lot of ground between those two extremes and that is where we fit. My parents had LTC insurance that they bought ages ago when underwriting had no idea how to price it. The premiums then were not so onerous but have gone up considerably since the 80’s. My father died before he used it. After my father died, I convinced my Mom to move into a “Continual Care” place. Luckily, she had the financial assets and health to qualify. She started out in Independent Living (~5 years), moved on to Assisted living after a bad infection, and in the last two years of her life, she was back and forth between the “Health Care Unit” (Nursing Home) and Assisted Living (and of course, the hospital). I was there often (being the sibling that lived closest) and the place was wonderful. I do not think that “aging in place” is always the best thing. I could never have taken care of her (or lived with her, really). The LTCI kicked in after 3 months in the “Health Care” part of the facility. She was examined by a nurse from the Insurance company and had to have 2 of 6 problems with daily living. When she got a little better (Mom was a fighter!) and went back to Assisted Care, the LTCI stopped. When she had a set-back and went back to “Health Care”, the LTCI started again (without the 3-month deductible), but she was examined by a nurse from the insurance company every 3 months. Eventually, she started lying to the nurse saying she could do things she could not do (she was embarrassed — not Alzheimer’s, but clearly no long term memory). She insisted she could drive! (this coming from a woman in a wheelchair!) The nurse would just write it down. I had to go to these meetings and clarify when necessary if the nurse would let me speak. My mother had moments of perfect clarity and the last time we were in the hospital together (watching “Animal Kingdom” together) she told me in no uncertain terms that she never wanted to be in the hospital again. She had an advanced directive that I and my siblings agreed to and she did not go to the hospital again. She benefitted somewhat from LTCI, but did not reach the “cap” since it was very much on-again; off-again. I do not know if my parents actually “won” with the LTCI, but frankly, it was such a hassel and un-predictable that I think an annuity is a better bet. And most of us have an annuity of sorts already – Social Security! I’m afraid the LTC insurance industry will obfuscate enough to make people believe the premiums will not go up, but that is unlikely. The US government obviously wants us to buy this (so they don’t have to take care of elders) and keeps sending me things about how i SHOULD BUY THIS INSURANCE. I will not until it makes sense. I think long-term care insurance is a must these days. You just don’t know what’s going to happen and it will lead to peace of mind for all of us as we enter our final years. And, who wants to be a burden on their families? Owning an LTCI policy will not only protect your assets from being wiped out should you need LTC in the future, it will also spare your children the trouble of leaving their jobs to provide you 24-hour care. The only way to avoid possible LTC insurance increases is to buy either a life insurance policy or an annuity with a long term care rider. http://www. lifeinsuranceltc.com . The downside to these is that they do not qualify for a state Partnership for long term care asset protection. http://partnershipforlongtermcare.com — LTC insurance companies prices today (2014) are more in line with actual claims so the policies sold today have less of a risk of a rate increase than policies sold in the past. All of these products require health underwriting, the healthier you are the more choices you have. This article was not that insightful although I’m always happy to hear that folks have had good experiences with their families. I recently did an analysis of LTC insurance. Not with weathered anecdotes like the article has (c’mon GRS you can do better) but with a spreadsheet and with non-insurance industry experts. I figured that LTC insurance probably only pays if one expects to get early Alzheimer’s (55 or 60/65). That’s when the premiums paid in and the cost of care paid out are beneficial to the policyholder. Otherwise, it is complete bs as an expense to pay over a 30-40 year time frame. Do you believe your insurance company is going to hold your premiums down for that long or be in business? That’s a lot of trust and a ton of money, my friends. 1) cost of policy (premium). 3) policy benefits, including daily benefit and inflation benefit and elimination period. 4) projected cost of care per month. 5) projected length of care period. I find long block paragraphs like that in number 69 to be difficult to read. Breaking paragraphs up into sections make for much easier reading. What about the right age to buy? Is 30 too young? Yes. You’ll be paying premiums for a long time. 50’s are the prime years for buying. I’m not an insurance expert but am about to become 59 and have recently talked to a long term care specialist and done a lot of research on my own. . Things to consider in the long run. Cost of Care rises about 4% to 5% per year. Those are home care, assisted living and nursing home costs. What taxes and penalties will you pay to withdrawl money to pay for your care? As states increase the minimum wage, cost of care will increase. The government cannot afford to pay for care. You are getting lower returns on your retirement savings. Needing long term care in your retirement years has the highest probability with the exception of dying. You pay $1000+ per year to insure a $30,000 car, doesn’t it make sense to spend $2000 per year to provide $300,000 in case you need care? By the way, I have helped people with insurance for over 30 years. I have sold long term care and I have seen the claims paid. Those that had it were grateful, those that didn’t were sad they did not have it.